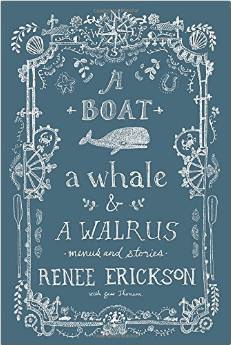 A Boat, a Whale & a Walrus – Renee Erickson of Boat Street Cafe (recently closed), The Whale Wins and The Walrus and the Carpenter happens to be a friend of ours who continues to wow everyone with her beautiful food that’s never overdone or fussy. It’s the kind of food that makes you feel like love was put into it and now it’s yours to make at home with this gorgeous new cookbook. The zucchini bread recipe alone makes this book worth the purchase. 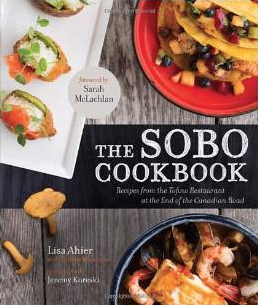 The Sobo Cookbook – A friend gifted me this cookbook and I’ve been in love with it ever since. I immediately started tagging recipes to make: Surfer Noodle Soup (originally a food truck, they served this soup to surfers in Tofino as they waited to take the chill off of them), Strawberry Lemon Scones (need I say more? ), Roasted Squash Salad, Hippy Chicken (think healthier fried chicken – breading made of almonds, pumpkin seeds, sunflower seeds, hemp seeds and sesame seeds), Salmon with Sorrel Sauce and Layered Potatoes (I made this and it was delicious). 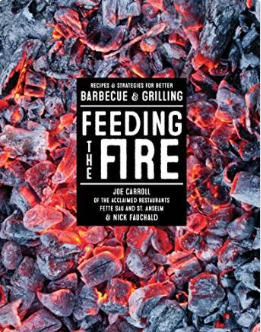 Feeding the Fire – I gave this to my husband for Father’s Day this year and it was an instant hit! This book covers it all from the different types of wood to use, keeping it simple with your sides, grilling red meat/chicken/seafood, and even the wine that will compliment your food. Great book for anyone that likes to take their cooking outside. The grilled artichoke hearts with garlic aioli are unreal! 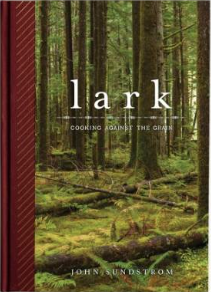 LARK – Cooking Against the Grain – If you’ve had the pleasure of dining at Lark, then you know what a special place it is. This cookbook is stunning as well. It’s available on your kindle thru Amazon or hardcover in the restaurant. There are certain classics that I’m so excited to have my hands on now. The Chocolate Madeleines are at the top of the list as well as the Lark Crackers that they serve with their wagyu sirloin tartare. Rossi potatoes with clabber cream and Paddlefish caviar or the Farro with red wine braised salsify and wild mushrooms…you pick but this book won’t disappoint. 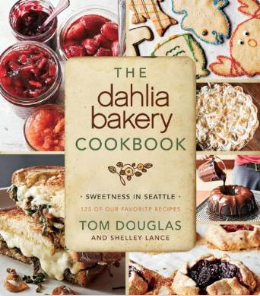 Dahlia Bakery Cookbook – If you live in Seattle then this most likely already sits on the shelf amongst your other cookbooks and if it doesn’t, it should! James Beard Award winner for Best Northwest Chef and Best Restaurateur, Tom Douglas is a man that has accomplished so much already and just keeps on going. A Seattle staple, the Dahlia Bakery has some of the best treats both savory and sweet in town. Love the Dahlia Triple Coconut Cream Pie? Now you can make it for yourself at home – trouble! Can’t get enough of the buttery and flakey Serious Biscuits? You too can have the recipe to wow people in your own home.